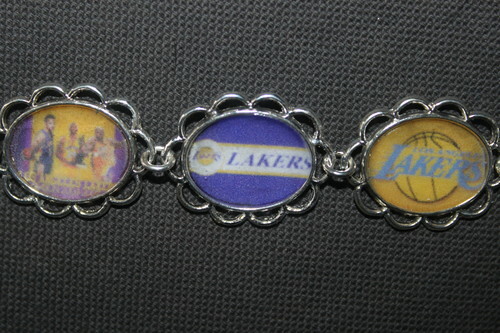 LA Lakers bracelet for her. My hand-made jewelry, including this pretty Lakers bracelet, is available at www.bonanza.com/booths/anitasthings. HD Wallpaper and background images in the Los Angeles Lakers club tagged: los angeles lakers kobe bryant nba basketball gold and purple jewelry accessory logo.